FileMaker Pro is about building custom business software. It’s about the parts of your business that don’t fit in a box neatly. Every business these days uses off-the-shelf software. It may be Xero or MYOB for accounting, or you’ll run an email campaign online using MailChimp, or build Slack into our work communications. FileMaker is for the parts of your business that don’t fit in a box. It’s for the parts that give your business it’s unique selling proposition. FileMaker lets you build software that fits your business, not the other way around. So to save you time, to automate processes better, to share data and insights, and prevent double entry, you need to integrate FileMaker with Xero, Quickbooks, MailChimp, Dropbox and all of the other business tools you use. FileMaker can do that. With our background in building plugins for FileMaker, and producing Web Service solutions, Goya has done many FileMaker integrations with many different platforms. Below are some highlights of the sorts of things we’ve made FileMaker do, and can help you with. If you want to get started with FileMaker, or want to integrate your other existing systems into a new custom software platform, contact us today. Every business needs to use an accounting package. And these days it’s best to use one of the online services, either Xero, Quickbooks or MYOB. 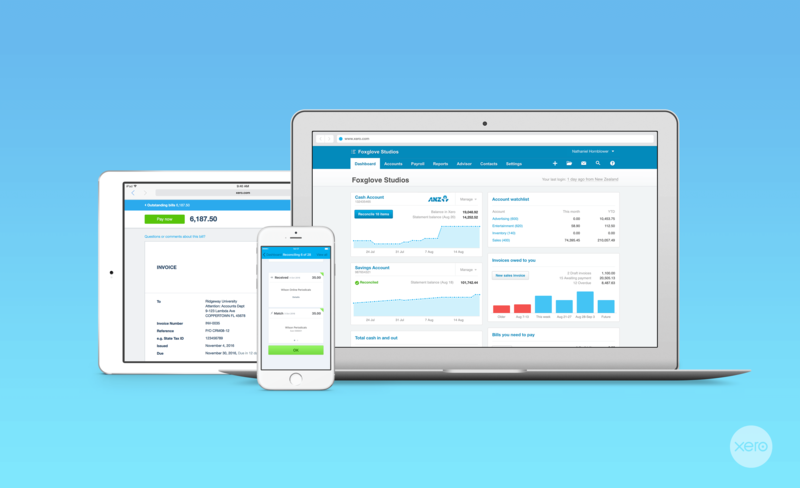 Xero was designed from the start to be easy to integrate. We’ve got a pre-written template to make Xero integration easy and affordable, and so your Tax and GST management should be where it is, with your accountant, and your business management stays where it works best. SurveyMonkey is fantastic software for capturing data from end users. Whether it’s a one off, or ongoing survey, you can bring that data into FileMaker to make sure it’s accessible to the rest of your business. We’ve helped customers generate personalised survey mailouts from within FileMaker, so each client gets individual survey questions. We’ve also built real time data capture on surveys so that you can act on responses immediately, and build that data directly into your business workflows. Mailchimp began as email mailing list software, but now encompasses an entire marketing automation tool. When you’re tracking people in your custom FileMaker CRM and sending them emails, Mailchimp helps you manage those processes. We’ve integrated customer data in FileMaker with Mailchimp to add simple “Subscribe” buttons to the database, built bulk email management from FileMaker, and even tracked email opens and clicks against customer records in the database. Slack is quickly becoming one of the most popular inter business collaboration tools. It’s replacing email and old chat applications to allow companies and groups to communicate easily and keep all their work discussions in house. FileMaker can send notifications to Slack whenever actions happen in your database, so the right teams can be on top of their alerts within the applications they are using all day. Plus Slack can send data back to FileMaker, so you can, for example, add links to approve a Purchase Order notification sent to the PO approval team. The approval data is captured in your database while everything happens in Slack, keeping the users from having to leave their business software. Google’s G Suite is a whole series of online applications, powered by Google Cloud. For example you can use G Suite to manage data in Google Sheets, or share files with Google Drive. And your FileMaker solutions can access both of these to read data captured elsewhere, or access files in the cloud. By utilising file sharing solutions like Drive, you can keep all your documents shared, accessible and mobile and still have your FileMaker business management tools interacting with your documents. Looking for help with your FileMaker Integration? FileMaker is the platform for custom business software. It allows you to run your business the way you want, not the way your software wants you to. Businesses don’t only have one software package, they use lots of different solutions, from appliance apps on iOS devices, to software as a service solutions on the web. We choose applications to do specific jobs when they do that job well. FileMaker can talk to all of them. Goya can help you get it done, and save time, prevent duplication and deliver the insights that your data provides, to the places you need it most.